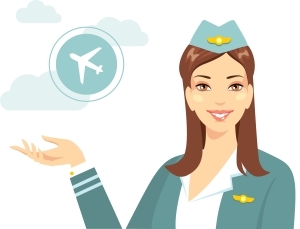 Per Diem | Flight Crew Tax Preparation: with a flight crew and per diem specialist. Because of the new tax laws, beginning 2018 an employee’s work related expenses are no longer deductible in any industry. For 2018 there is no need that we can see to calculate your per diem, but you must still keep record of your overnights. We will be following any developments in this law, but this is the current situation. Why do I still need to keep track of my overnights for the year? You still need to keep a record of your trips. The reason is that your per diem reimbursement is on your W2, and for this NOT to be considered taxable income you need proof of your on-duty travel (overnights). There is no deduction for flight crew expenses this year. But it is necessary to either fill out the flight calendar or check the box on the flight calendar that confirms you have kept these records to prove that your per diem reimbursement amount is not taxable. (If you work for SW they archive payroll reports after 3 months so please try to download those every month to keep in your files). Per Diem is a government-approved cost for overnight business travel. Some costs of business travel, such as lodging, food and incidentals, can be deducted on Form 2106 (Unreimbursed Employee Business Expenses) of the individual tax return. Flight crew can deduct food and incidentals, but not lodging, because lodging is not an out-of-pocket expense. Prior to the institution of the daily Per Diem rate all receipts had to be kept. The use of daily Per Diem rates replaces the need to keep receipts for lodging, food and incidentals. Why calculate your annual Per Diem amount? The annual per diem amount is a deduction on your individual tax return which can amount to several thousand dollars. The unreimbursed portion of per diem, along with deductible flight crew expenses, state taxes, home mortgage interest and property taxes, charitable donations, medical expenses, personal financial services and tax preparation fees can amount to total “itemized deductions” in excess of the “standard deduction”. More deductions results in less of your income being taxed and a smaller tax bill. This is one of the benefits of being flight crew. How is the Per Diem calculated? The Per Diem can be calculated in several ways, but the best way is city-by-city. This method of calculation gives you the most amount of money per city, but it is also more work. Rather than using a national average amount of $59 per overnight, using the actual rate for each city yields a higher amount. What is needed to accurately calculate per diem? In order to calculate your Per Diem in the best possible way, you must keep track of your overnights for the entire year. Some airlines give you adequate access to your schedule and overnights (the ability to print out your entire schedule even years later), while others “archive” this information every few months, making it inaccessible without a court order (Southwest Airlines). The best habit is to keep your own record of travel. You can use our Flight Calendar or a manual “Per Diem Calculator” like avPerDiem. In order to properly calculate your Per Diem and prepare your tax return, you will need to provide Airline Taxes with a completed Flight Calendar, or a final tally from a Per Diem Calculator. Which Per Diem Calculator service should you use? If you choose to use a Per Diem Calculator service, here are some insights. First, all of the Per Diem Calculation services use the city-by-city rate, this is good. However, some of them use a minute-by-minute calculation, while others use the “75% method”. We prefer the 75% method because we find it to be more generous and easier to defend to the IRS. Second, some Per Diem Calculators can pull your flight data from your company computer system, while this sounds good (and easy) sometimes it is wrong information, and ultimately you are responsible. Therefore we recommend a more hands on approach. avPerDiem: Cost $5.99 this service is our favorite because you put the information in yourself, which ensures the information is correct, and they use the 75% method which gives you the best calculation. And, look again at that reasonable price! ProDiem: Cost $59.99 automatically pulls data from the company computer, uses the minute by minute calculation. A favorite of American Airlines employees; I don’t think it works with Southwest Airlines. PerDiemMax: Cost $39.99 automatically pulls data from the company computer (customers have reported many errors with this; SWA employees must have Crew Buddy installed for the entire year to access complete data), uses the 75% method for calculation. Sabre: Cost – included from some airlines. Uses the minute-by-minute method. *If you have questions about the flight records that you have and if they are adequate, just give us a call. Have $10,000 in foreign banks? Report it. We are happy to answer any questions that you may have!